The Infinite Loop takes Team Culture Development another leap forward! 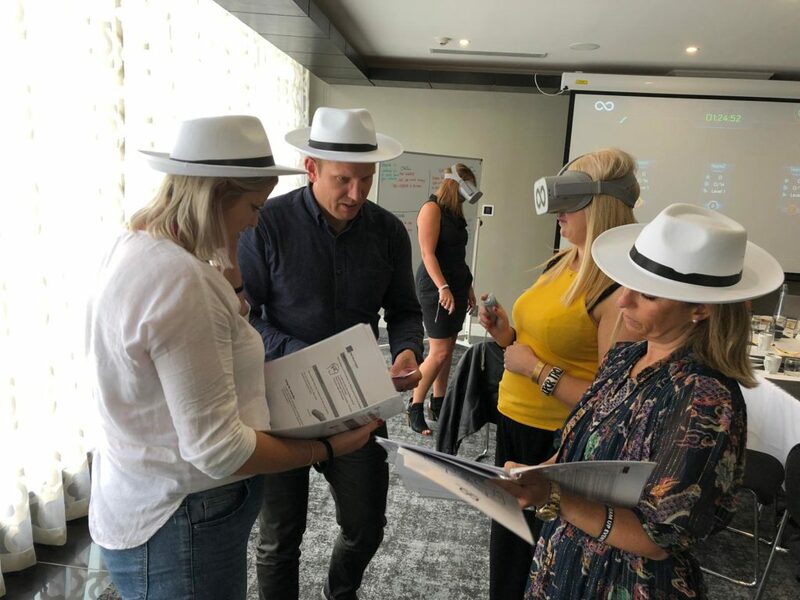 Our industry partners at CiEvents stepped into the virtual-future last week, taking on The Infinite Loop at the recently refurbished Grand Mercure Auckland in the heart of the CBD. Playing the role of an elite group of government hackers, teams were tasked with entering the virtual world on a special mission! Find and free John Doe, a teenager trapped in this high-tech world after his headset from the suspicious “Odyssey Corporation” malfunctioned. The Infinite Loop has been specifically designed and developed as a virtual reality themed and based, team development experience. 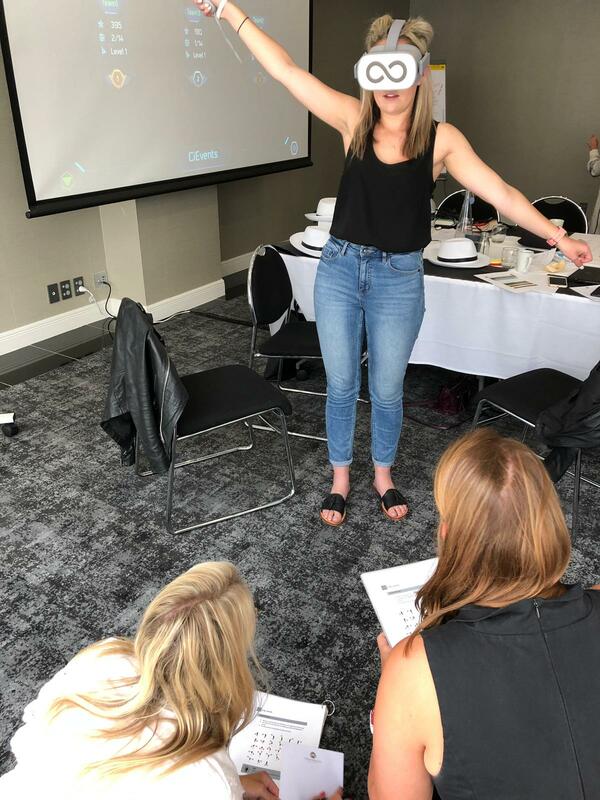 Available exclusively to Team Up Events in New Zealand, this high tech event takes a fun, goal-focused and collaborative approach to developing cross-functional communication within a team environment. From the moment the first door opened, the game was on! Teams raced neck and neck through The Infinite Loop maze, sharing their time and experience inside the virtual world with their hacker-colleagues on the outside. With only one person able to see inside the virtual world to communicate the necessary information to their team mates on the outside, clear lines of communication soon became the key to success. In the closing minutes of the game, one team of hackers managed to achieve their mission and crack the final code to release John Doe. That didn’t stop the competition as the remaining hacker-teams fought hard for bragging rights to claim 2ndand 3rdplace! To learn more about the Infinite Loop and to organise your next team event, contact one of our offices by calling 0800 TEAM UP!